Endless Rain Brings Flooded Garages. What Can You Do? Blue Sky BuildersSkywriters Garage BlogGarage MaintenanceEndless Rain Brings Flooded Garages. What Can You Do? With the torrential rains in the recent week, many homeowners have dealt with flooding issues in homes and garages. With more rain forecasted and not a bit of ground soil dry, now is the time to examine your garage structure. When it rains continuously, the average way your land drains is going to be compromised. Lawns become overly saturated, storm drains become filled to capacity. And unfortunately, water is going to find the lowest point in your garage if it has nowhere to go. 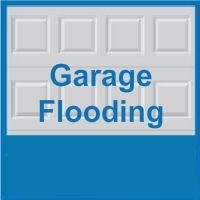 Here are some main issues that may be causing your garage flooding issues. The foundation level of your garage should accommodate a buildup of rain water around it or else water is going to flood in. You should be able to see your garage foundation above your ground level. The higher your foundation, the better chances your garage will stay dry. But detached garages, especially ones built decades ago, may have insufficient foundation height. Installing a drainage system to flow water away from your garage or building a garage with a higher foundation are the main options that can help you solve the flooding problems permanently. Moving as much water away from your garage as quickly as possible is the key to prevent flooding. Having sufficient gutters can help to prevent a downpour of water cascading around your garage. Your garage gutters should be cleared regularly from leaves and other debris to insure they are working properly. It is important to see how changes in the grading of your land can affect the way water flows towards your garage. Changes including new landscaping, a new house being built, a tree cut down, or new driveway put in, can all cause water to flood your garage. Your neighbor’s land grading can also have a direct effect on your land too. If you see a new structure being built next to your property, find out where excess water is graded to flow. If you see it heading towards your land, mitigate the issue as soon as you can. If your garage continues to flood, our last week’s blog, “How To Create More Space in Your Garage with Overhead Storage”, can help you with some sure methods to keep your garage contents dry and off seeping water until you have a more permanent fix. Garage flooding issues can cause a lot of headaches and damage, especially if you store your items on the garage floor. This is the time to consider the reasons for your garage flooding issues. 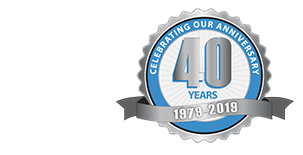 Contact Blue Sky Builders for a free consultation to see how we can help. Or call us at 630-852-8485.